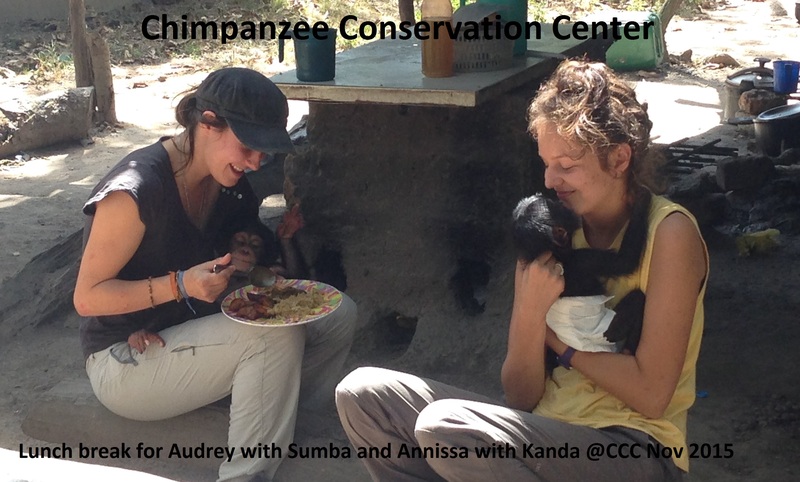 The latest arrival at the CCC, a very young male, has been named Kanda, It means “luck” in Malinke, the local language of our area. Annissa is his substitute mother. Being a substitute mother is a rewarding (and tiring) experience since it’s a 24/7 job but it’s a key role for the orphans physical and psychological well being. Audrey is taking her lunch break with Sumba, 10 months old while Annissa is getting a kiss from Kanda, 5 months old.